How do Renewable Portfolio Standards work? | West Coast Solar, Inc.
How do Renewable Portfolio Standards work? When reading or discussing renewable energy and California residential solar, one often hears the term Renewable Portfolio Standards (RPS) used, which refers to the minimum amount of electricity that utilities must procure from renewable sources. RPS levels are set by the state and enforced by the California Public Utilities Commission. Investor-owned utilities (IOU), electric service providers and community choice aggregators must obtain one-third of the electricity they produce from renewables, including solar energy, by 2020. Between now and then, they must meet certain benchmarks that vary depending on which of the three groups a utility belongs to. The state’s three major IOUs (Southern California Edison, Pacific Gas & Electric and San Diego Gas & Electric) currently obtain about 19-20 percent of their retail electricity from renewables. If an electric company has failed to meet the RPS by 2020, they will have to pay a fine of five cents per kilowatt hour of non-renewable energy that is produced, up to $25 million a year. Considering that utilities typically operate with slim profit margins, that is a hefty price to pay. 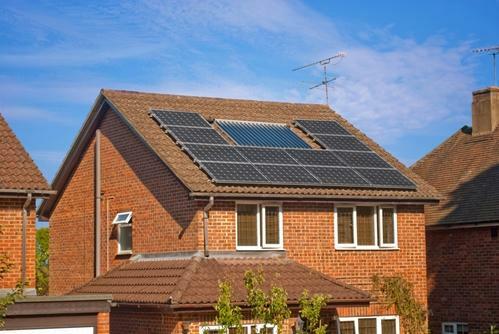 RPS guidelines are important for solar customers because they give utility companies an incentive to buy electricity from customers with photovoltaic rooftop systems. Building utility scale renewable energy resources takes time, and it’s easier for these companies to pay for their renewable power for residents who are already generating clean energy. For this reason, solar power represents a great value investment for customers. If you’re interested in finding out more, contact West Coast Solar today.